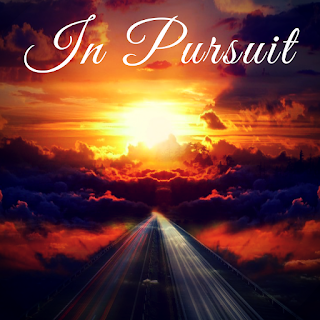 A Home Studio should be releasing things, and I have just released my newest seven song album, "In Pursuit"! Already, I must say, that I feel a great burden lifted and a sense of accomplishment. I released an album last year as well entitled "Absolutes", but I can definitely tell that my skills as a musician and an audio engineer have improved. So what about those songs of yesteryear? Do I go back and "fix" them? Nope. Those songs were acceptable at that time when I released them, and I still play them live the same way I always have, but they also set a benchmark for me and others, a point of reference for all to see my growth and to learn from those experiences. Along those same lines, I want to cover some things that I would've done differently on this album if I decided to go back and change anything, however I will not. You see there also has to come a point and time where we are honest with ourselves and we say "Ok, I have got this mix as good as I can get it with my current skills and knowledge. It is time to learn more and move on." Well what if... What if we continually tried to improve on our best at that time and NEVER released a thing?! That would be POINTLESS! The world is full of stagnant Home Studios that never release anything but talk about a lot. They boast of all these amazing things they've learned but never share it. They brag about all the songs they're "working on" but never can show someone their work because they are... Scared. Yep, I said it. Scared that someone is going to shoot them down or say something negative, scared to be critiqued, and due to their fear they end up quitting without ever displaying those God given talents for everyone to hear. That is an effort in futility and no fun at all. I would much rather deal with a few negative comments from people I don't know than to let down those who do know me and believe in me. 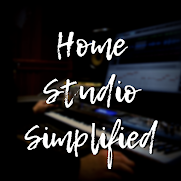 I would much rather have a Home Studio that churns out my best at that time then nothing at all, and I would definitely not want to let my God down by burying my talents and not being a good steward of the gifts He has given me. There are other things I could write down here as well but you get the point. I am learning from the experience and applying what I know now to what I will do in the future! You can do the same thing! Inside you is locked away a ton of potential, you just need to release it! I am here to help in anyway I can, just let me know if you need something. Download for FREE or give what you want.